With the increased expectancy levels surrounding Wolverhampton Wanderers this season, it is going to be very difficult to get tickets to away games. Therefore, when I managed to get one for Sheffield Wednesday in the Carabao Cup, I was very pleased. However, less than a day later when the TNS manager, Scott Ruscoe, informed me we were playing Liverpool U23s in a behind-closed-doors friendly and that it was on the Tuesday, I immediately thought why can’t I be in two places at the same time. Although the game at Liverpool’s Academy was in the afternoon it meant I wouldn’t have been back in time for the coach departure from Molineux. As the game against Klopp’s men wasn’t a ‘working’ one for me personally as there was no full coverage, Wolves it was. If I had known prior to purchasing tickets for Hillsborough though, it would have been The New Saints. I loved the game though, especially as I’ve never been to Sheffield Wednesday before, so it’s a new addition to the list of grounds visited. I’m hoping that we can get an away draw in the next round somewhere I’ve not been to yet, and of course that TNS aren’t involved on the day. 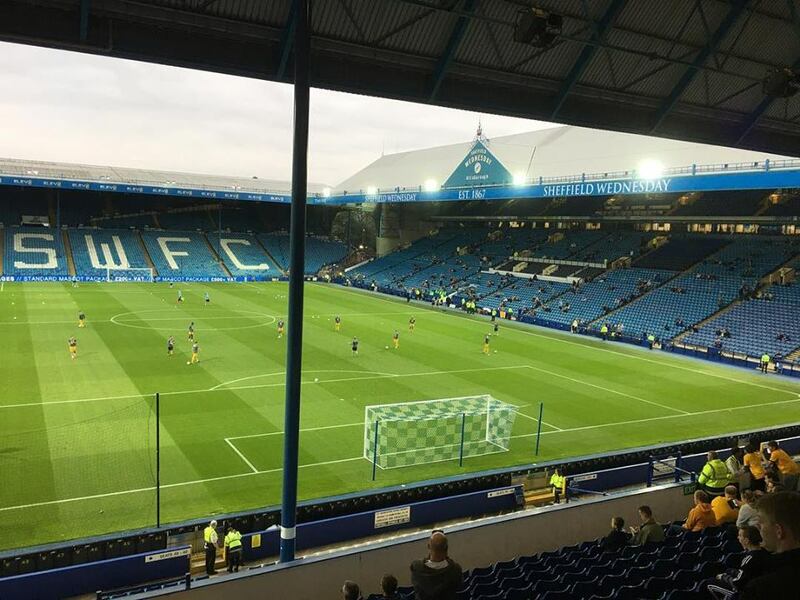 Hillsborough is the 18th new ground of 2018/2019 for me and the 170th overall. You can visit my groundhopping pages HERE.